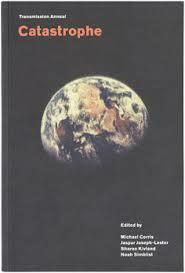 Artwords Press specialises in written works by artists. 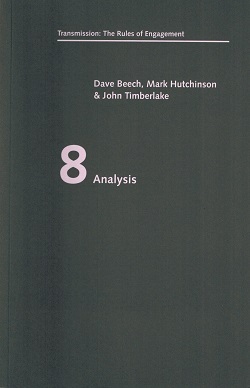 Based in London it is the publisher of Transmission Annual and Transmission: The Rules of Engagement series. Born in Moscow in 1966, Pavel Pepperstein is one of the most influential artists of Russia’s new generation. In the 1980s he studied at the Academy of Fine Arts in Prague. In 1987 he co-founded the experimental group of artists, Inspection Medical Hermeneutics, which, after the dissolution of the Soviet Union, developed a critical approach towards the influence of western culture on Russia. Pepperstein represented Russia at the Venice Biennial in 2009. He participated in the Moscow Biennial in 2007, and the Valencia Biennial in 2003. He has had numerous solo exhibitions. Pepperstein's work is included in many public collections, including the Centre Georges Pompidou, Paris, Kunsthaus Zug, Kunstmuseum Basel, Switzerland, Moscow Museum of Contemporary Art, Sammlung Rheingold Art Foundation, Düsseldorf, and the Deutsche Bank Collection, Berlin. …so begins Scraps from the Bottom of My Pocket, a collection of Vincent Dachy’s textual musings, conundrums, paradoxes, and poetical fragments extracted from the everyday – juxtaposed with a selection of his similarly enigmatic photographs. 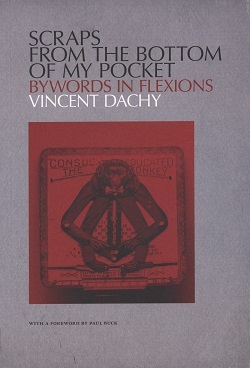 Vincent Dachy writes in English and French and is the author of Tribulations of a Westerner in the Western World, Les Figues Press, Los Angeles, 2006 and is published in Patricide, VLAK, Open Letter, Horizon, and La Lettre Mensuelle. Vincent Dachy practices and teaches Lacanian psychoanalysis. He lives and works in London. 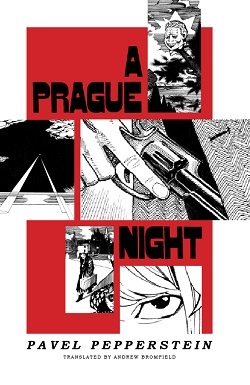 In this issue we intended to consider the grand narratives of history and angels, death and destruction, brutal acts and events, memory, magic, and cruelty, ruins, resistance, and remorse. Our intentions are grandiose, of course, but these themes are indeed woven throughout the contributions herein. 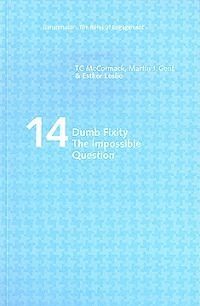 We must ask in what times we live and how works of art may address our present belonging and artistic invention may disrupt and reframe our present – or its dominant descriptions.In what some call the end times (ecological crisis, social ruptures, economic inequality), the question we cannot cease to ask is how artists – or works of art – might confront the future, and, as V. I. Lenin said, ‘to begin from the beginning, over and over again’. Transmission Annual is a journal determined by the idea and act of distribution and reception; how art is encountered, circulated, and received. The journal is a discursive space for commissioned texts, artists’ contributions, interviews and other, experimental forms. In Volume 2: Provocation the journal concerns itself with how art can disrupt both site and audience. • Provocation in art today is not the same as provocation associated with the art of the historical avant-garde. • Provocation in art seeks to engage with power outside art. • Many artists and intellectuals are concerned with the instrumentality of provocation: does it work? how does it work? how can it be made to work ‘better’? The relation between cinema and photography is beautifully explored in this book of photographs. David Bate takes his cue from the celebrated filmmaker Andrei Tarkovsky to bring questions of memory, image and narrative forward to a post-Soviet context. Located in the Baltic state of Estonia, the photographs link the experience of everyday life to issues of ‘seeing the other’. Images and scenes of Tarkovsky’s film Stalker are folded over into contemporary life, where dreams and realities are drawn together in everyday conflicts, and social change. The photographs are published here for the first time in book form, with an introductory essay by the Estonian art historian Katrin Kivimaa and an accompanying essay by David Bate. 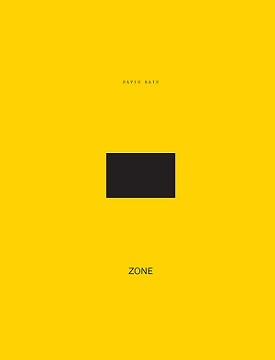 David Bate is a photo-artist based in London, also widely known for his writings on photography, art and culture. He is the author of Photography and Surrealism: Sexuality, Colonialism and Social Dissent; Photography: The Key Concepts and forthcoming, Photography After Postmodernism: Barthes, Stieglitz and the Art of Memory. 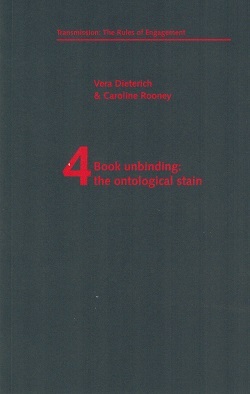 Recognition of collaboration and interdependencies between artists forms the core of this book. It posits the ‘social’ notion of art practice and attempts to challenge the idea of the artist engaged in a ‘singular’ dialogue. 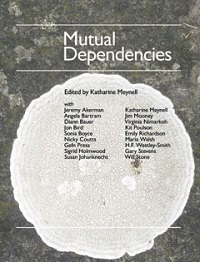 Mutual Dependencies is neither exactly an artists’ book nor just academic research, it places itself firmly within fine art discourse at a time when re-examination of what this might mean is taking place: for example courses at Goldsmiths’ in Art Writing, Camberwell in Book Arts, Poetic Practice at Royal Holloway, and the Whitechapel Art Gallery’s Writers Residency. These pages include drawings, recollections, photographs and diagrams, , writings, ruminations and tentative articulations; taken as a whole, it engages with overlaps between score, script, performance, concept and drawing. Michael Corris is an artist, art historian and writer on art. He is currently Professor and Chair of the Division of Art, Meadows School of the Arts, Southern Methodist University, Dallas, Texas. Jaspar Joseph-Lester is an artist, curator and writer on art He is currently Reader in Fine Art at Sheffield Hallam University. Sharon Kivland Sharon Kivland is an artist, curator and writer, Reader in Fine Art at Sheffield Hallam University, and Research Associate of the Centre for Freudian Analysis and Research, London. "We might rethink that 1960s TV footage of suited-up Apollo astronauts waving in the Florida sunshine to wonder what public reaction might have been had those sterile antechambers disgorged air force colonels with newly re-modelled and socketed crania or eyes, proboscises or extra limbs; what reaction Kennedy's announcement of the Apollo Program might have received had he simultaneously declared the subsumption of the US into some pan-global structure of governance and resource management; that the mission objective was Proxima Centauri, not the Moon. Televisual history re-imagined thus becomes a delirious Gothic dream…"
The Bussard Ramjet was a concept proposed in 1960 by the distinguished physicist R.W. Bussard in which advanced civilisations would be able to travel the vast distances between the stars by constructing engines that would gather hydrogen atoms in deep space, subsequently fusing them to produce a directed jet of thermonuclear plasma. 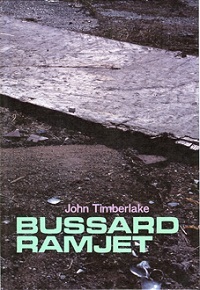 In the works reproduced in Bussard Ramjet Timberlake addresses notions of realism and fiction in photography and their proximity to constructions of utopias and dystopias. Photographic landscapes are partially re-painted in a photorealist style suggesting future or past events. Interweaved with these images and bearing on 9/11, fusion-theory and space travel, John Timberlake's compelling, three part narrative weaves Sci-Fi with contemporary realism to counter tarnished and myopic notions of 'future' civilisation(s) and landscape. Media-culture is an undeniable force in our lives. Its pervasive and pleasurable power has primarily been located in discourses on 'spectacle' and the persistent connections between technology and dominance. however, when traditional modes of critique produce and use a media-culture, the question of how our experiences of images constitute the political is mperative. 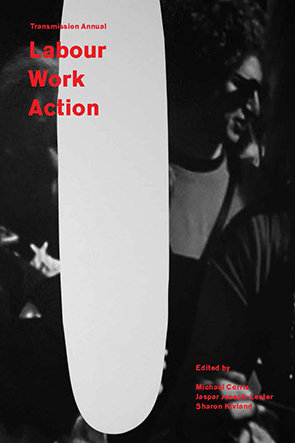 This first collection of essays edited by the research group Curating Video brings together an international field of researchers from the realms of cultural studies, visual art, psychoanalysis, and political philosophy to explore new contexts and issues that are crucial to understanding the experience and meaning of images. 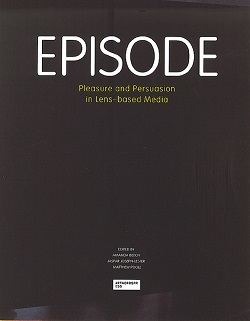 Without idealising or demonising media culture these essays interrogate the critical status of lens-based media, taking up the pressing dilemmas of a politics of the image and its contemporary condition. 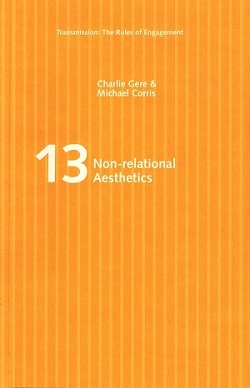 `Relational Art' and `relational aesthetics' are commonplace terms in contemporary art discourse. 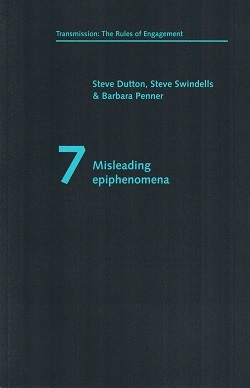 Defined as a `set of artistic practices which take as their theoretical and practical point of departure the whole of human relations and their social context, rather than an independent and private space' and as an aesthetic theory consisting in judging art works on the basis of the inter-human relations which they represent, produce or prompt'. In such an aesthetics, art is seemingly required to act as a replacement for the binding of the community through the rituals of religion. What did the chained men on Plato’s allegory of the cave see when they looked at the shadows on the wall? Did they see pictures of the world or rather, reflections of their own imagination? What is the difference? 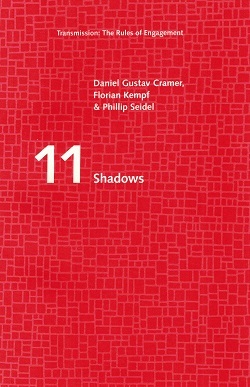 Shadows examines the relation between image and mind from the point of view of the scientific image-archive and from the image-repertoire of a number of artists. Each of these perspectives shows a bond between perception and production, while simultaneously revealing an element that appears to be inexplicable, an enigmatic gap that may provide a key to the way we view the world and its images, the cave and its shadows. Chikamatsu Monazaemon (1653-1724) comments that 'art is something that lies in the slender margin between the real and the unreal'. This is the origin of a discussion which recalls the experience and associated imaginings of the European gardens of the seventeenth and eighteenth century and their distant cousins, the stroll gardens of the Tokogawa and Meji periods of Japan. 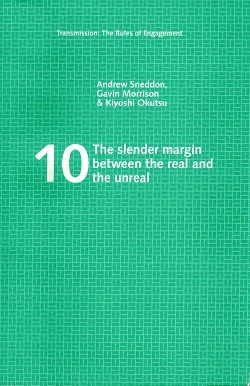 The shared use of the borrowed landscape or 'shakkei' allows for further enquiry into the similarities and difference. The three authors, through discussion, correspondence, and visits to particular gardens, built a relationship through the sharing of references and experiences. The garden reveals itself as a bountiful source of inspiration, a place of escapism, a cultural and social signifier, and as a place for thinking. 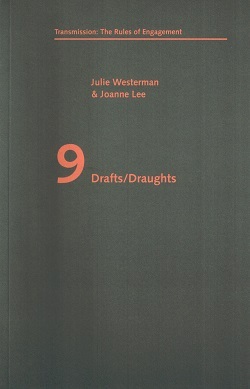 Drafts/Draughts documents a conversation exploring the migration of ideas between real and imagined, conceptual and material in the making and reception of contemporary art. Exploring the poetic and conceptual potential of key functions in computer-aided design packages as suggestive devices for thinking, it attends to a range of issues current preoccupying those involved in academic and professional art contexts. 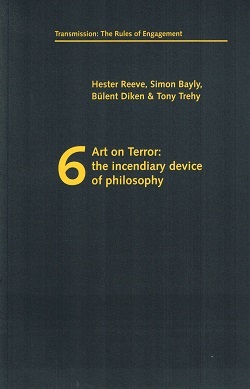 These include strategies for teaching fine art, the relationship of academic research to art practice, the complexities of working with experts from other disciplines, and techniques for engaging audiences and participants. Misleading epiphenomena takes Park Hill, a one-thousand unit housing estate designed between 1957 and 1960 by Sheffield City Council, as the prompt for observations and conversations, addressing questions as varied as northern identity, architectural modernism, corporatism, social housing, the sublime, ruin, the uncanny, aura, entropy, and the disciplinary limits of the authors. While Park Hill is the ‘site’ of encounter, reflection and inversion emerge as the processes and methods of exchange. 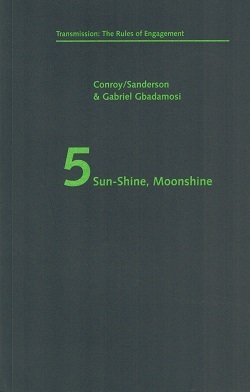 In Sun-Shine, Moonshine Conroy / Sanderson and Gabriel Gbadamosi take up and challenge the rules of engagement, making up their own conventions as they go along. 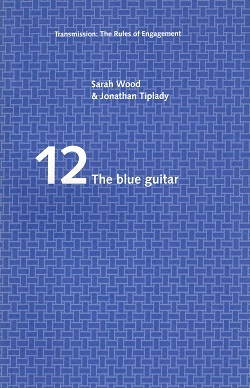 The text and images were developed over six months, in dialogues that took place both in the artists' studio and elsewhere. Images were made in response to conversations and writings were constructed on images, which then returned to visual representation. The work is founded on Jonathan Swift's satire Gulliver's Travels, and, like Swift, the authors reflect on identity and difference, the foreign and the far-fetched. 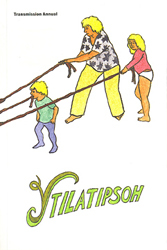 In an entwining of text and image, figures (as tropes and real people) playing Gulliver (as tourist, stranger, lover or other) float disappear, double and mirror each other. 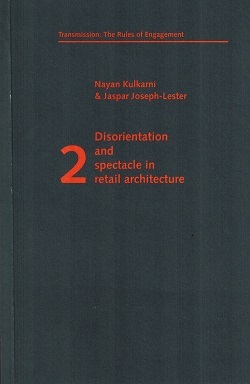 Disorientation and Spectacle traces the development of new retail and entertainment sites through three examples: Bluewater shopping centre (Kent), Canary Wharf shopping centre, and Selfridges department store. The authors ask if disorientation and spectacle can continue to properly engage with the imagination when fantasy has become part of everyday experience. 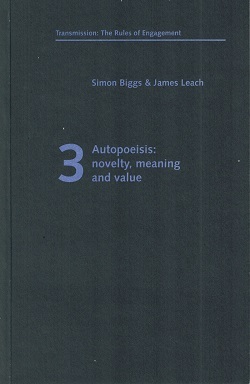 They speculate if the ever-changing demands of a collective imagination have forced a mutation in the way disorientation and spectacle are considered by designers and architects, and ask if the challenges faced by retail and entertainment corporations might offer new possibilities for the wider cultural sphere of the practices of both art and architecture. 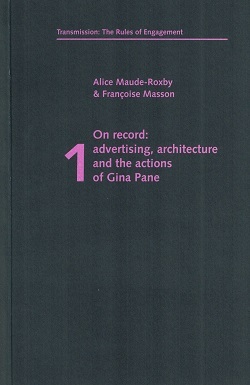 In On record: advertising, architecture and the actions of Gina Pane, Maude-Roxby examines the involvement of the live art photographer as part of a performance event. Her previous interviews with photographers have brought to light the collaborative aspect of their work with the principal performance artist and the way in which individual photographic styles influence how any performance is ultimately seen. Maude-Roxby became fascinated with the photographs of Françoise Masson, documenting the actions of Gina Pane. This is the first published interview with Masson, describing the trajectory of her career as a photographer and her work with Pane in the context of her practice. 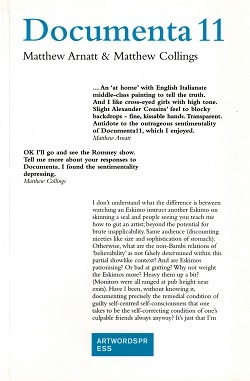 'I remember a film of a room that looked like an exhibition space for a warehouse show in London circa early 90s…' In early June 2002 both Matthew Collings and Matthew Arnatt separately visited the internationally renowned contemporary art exhibition, Documenta11 in Kassel, Germany. Collings as an official journalist for the art magazine Modern Painters and Arnatt as an art tourist. In the weeks immediately following their visits they initiate a very frank and candid correspondence articulating their thoughts about this major international art event and its curatorial agenda. In their exceptionally open dialogue both writers bring to the debate personal opinion and reflection, whilst expanding their criticisms to include wider, concurrent UK exhibitions and artists.